Even though it’s still September, the excitement and pressure of the holidays are right around the corner. The last thing you want is for several things to go wrong before the holidays even get started. And the one thing that definitely shouldn’t malfunction during this time of year (or during any time of the year) is your personal water well. If your water source has been working well, that’s a good sign. However, it never hurts to ask your Armada well drilling company about when a check-up on your well and your water is needed. If you choose not to, unfortunate things may happen. Here are three reasons you must make sure your water well is in good shape before the holidays come around. 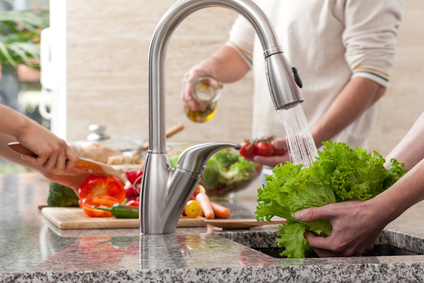 If you’re the chef in the household, you definitely want to make sure your water is working. There’s a lot of cooking to do during this time of year and it’d be a shame for that to come to a halt because your water well isn’t functioning properly. While the weather is still warm, it’s good to schedule a water well check-up. Make sure the well, the pipes, and even the water heater are working. When the cold front comes in, any error with the well will be difficult to fix. Fortunately, your professional water well company will be by your side if there is any issue at any time. The sooner you schedule that well maintenance check, the sooner you can get to cooking and your family can get to eating. Heated water is nice to have during the holidays, for cooking, making hot cocoa, or enjoying a nice bath. The holidays are a time for relaxing for most of us and even those of us that are busy need a moment of peace. The use of water is a necessity every day and its use shouldn’t be put to a halt because of a water well issue. Talking with your water well contractor about the status of your water well is a good call if you know it’s due for a check-up. When winter comes, you want to make sure the water is flowing and is heated properly. You may also want to check on the status of your water to make sure it’s free of any toxins or heavy metals for drinking. Make sure the fun of the holidays doesn’t come to a stop. Discussing a maintenance check-up with your professional well drilling company can and will prevent so many unexpected problems. You already have a lot of planning to do with friends and family in addition to preparing the home for the holidays in general. Take care of your water well so that it’s quickly checked off your to-do list. Once you do that, all other preparations will be less of a struggle. 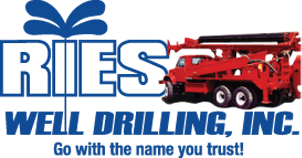 Contact Ries Well Drilling Inc. to make sure the holidays go smoothly and are full of fun. We provide Armada well service and extend our services throughout Macomb, St. Clair, Oakland, and Lapeer Counties.